Sure, you could wait until the day of then fight the crowds to pick up limp flowers from the deli around the corner. Or, with even less effort, you can wow with a gorgeous farm-to-table bouquet. Get a $50 site-wide credit to the Bouqs Company for just $35. Up to 10 days fresher than your local florist, theBouqs.com offers an amazing selection of farm-to-table bouquets for Valentine’s Day and pretty much every other day, too. All of their flowers come from sustainable farms and are grown in high elevation with volcanic soil. That means vibrant colors, fresh smells, and a Valentine’s Day bouquet that impresses…and you don’t even have to put on pants and go to the store. 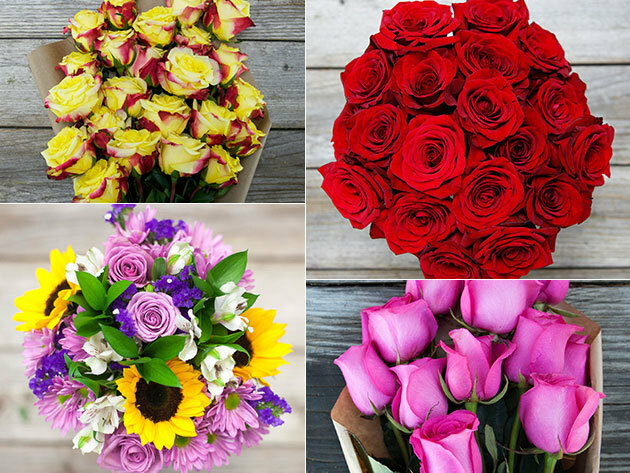 Get $50 site-wide credit to the Bouqs Company for $35 at Techlicious Deals.